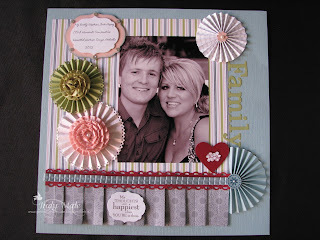 I am very excited to tell you that I have finally used my Simply Scored Scoring Tool to make rosettes! 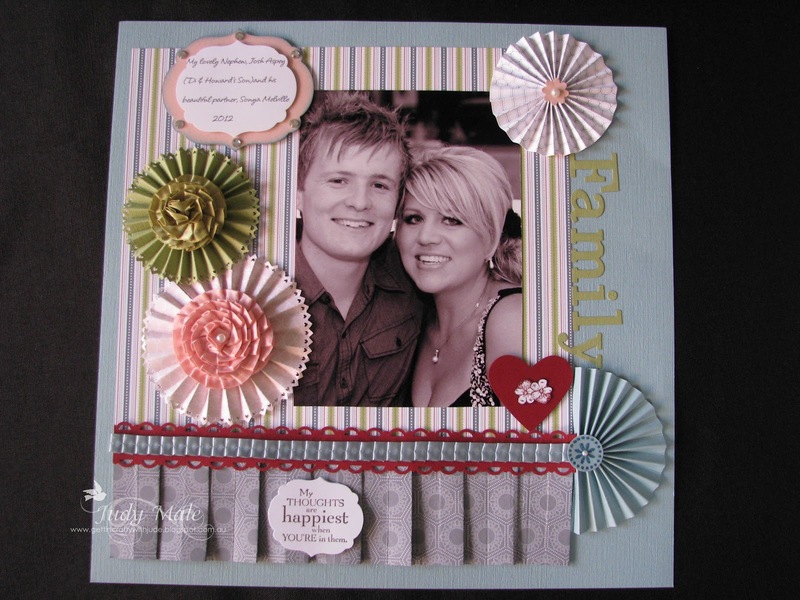 I know mine could still do with a little more practice, but I am delighted with the results on my scrapbooking page of my nephew Josh and his partner Sonya, Hope you like it too. I also had fun making the centres of the rosettes using the pleated ribbons. I found a similar layout designed by Tania Willis and then made a few changes to it. Very happy with the result. 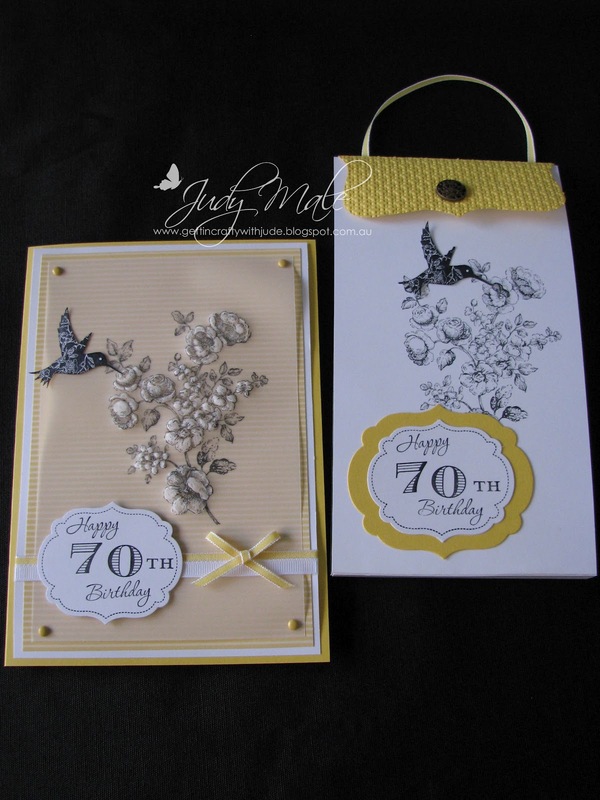 Next, I made the following card and gift card holder for my friend Heather's 70th Birthday on the weekend. I found the card idea on Splitcoast Stampers by Stamping Still, sorry it doesn't give her name. Once I made the card it was easy to make the gift card holder to match. 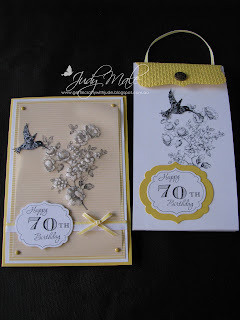 The stamp set is Elements of Style and then the 70th Birthday is a sneek peak from a set called Memorable Moments that we received at Convention it will be available in the upcoming Catalogue on September 1st. I loved the effect of stamping on vellum and then going over the reverse side with my scoring stylus to make the white highlights on the flowers. By the way, you may have noticed there is a little bump on the top right hand corner of the card when I photographed this, but I did take the brad out and made it right before I gave it to Heather. If you would like me to make these for you, just book a party by contacting me here and I will be most happy to oblige! 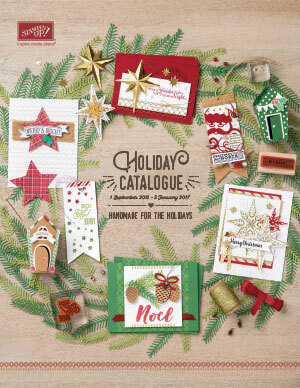 Remember, the Autum/Winter Mini Catalogue expires on 31st July so place your orders if there is anything you want from it. On 1st August there will be a retirement list issued with all the products that won't be going forward in to the new 2012-2013 annual catalogue so it will be time to say good bye to a lot of the current ones. Makes me sad just thinking about losing some old favourites!